The Kansas City Chiefs cruised in Week 9, extending our run in NFL survivor pools. As we move on to Week 10, our picks will come down to a handful of double-digit favorites. 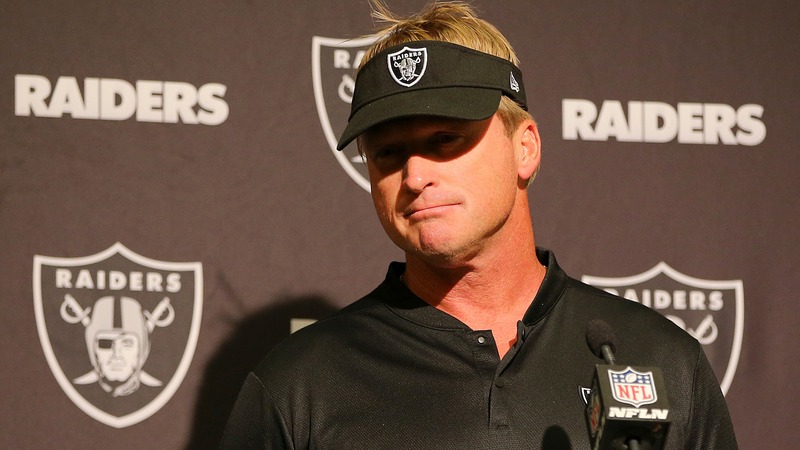 Ultimately, fading Jon Gruden and the Raiders will be too tough to pass up. The Kansas City Chiefs cruised in Week 9, [extending our run in NFL survivor pools](https://www.betchicago.com/nfl-survivor-picks-week-9-chiefs-browns). As we move on to Week 10, our survivor picks will come down to a handful of double-digit favorites. Ultimately, fading Jon Gruden and the Raiders will be too tough to pass up. The Los Angeles Chargers, Green Bay Packers, Los Angeles Rams and Kansas City Chiefs are each favored by double-digits this weekend. We've already used the Rams and Chiefs, so if we're going with one of the big favorites we're down to the Chargers and Packers. Elsewhere across the board, the Jets may be an intriguing option at home against the Bills. They're listed as a 7.5-point favorite at Bovada, but with Derek Anderson potentially playing this week, it's not automatic like it would be if Nathan Peterman was playing. That seems weird to say, because Anderson is also bad. The Bears are giving more than a touchdown to the Lions at home. The Patriots are 7-point favorites against the Titans. The Eagles are 6.5-point favorites against the Cowboys. For us, though, we're again going with a road team and counting on the Chargers. ## Safe pick: Los Angeles Chargers over Oakland Raiders I don't like picking road teams, but it sure looked like the Raiders quit last week getting drilled by third-string quarterback Nick Mullens and the San Francisco 49ers. Oakland lost 34-3 and now returns home to play in front of a disgruntled fanbase. The Chargers went on the road in Week 9 and beat the Seahawks and come to California on a five-game win streak. The Chargers beat the Raiders 26-10 in Week 5. They're second in yards per play on offense; the Raiders rank last in yards per play on defense. LA is sixth in rushing; the Raiders are last in rushing defense. There shouldn't be much of a reason to think this is a trap of any sort of the Chargers with the Broncos on deck. ## Sneaky pick: Philadelphia Eagles over Dallas Cowboys Not many 'sneaky' options this week, although I looked for a while at the Redskins winning outright against Tampa Bay. The Cowboys are 0-4 on the road while the Eagles are coming off a bye. They've had extra time to implement Golden Tate into the offense, and I don't see how Dallas keeps up on a short week. Losing to Tenenssee on Monday Night Football effectively ended playoff hopes for Dallas, and I think we can see a letdown performance here. ## Trap game: Indianapolis Colts over Jacksonville Jaguars The Colts are 3-point favorites at home against the Jaguars with each team coming off a bye. The public seems down on the Jaguars, who are a disappointing 3-5. But this is a spot I'd avoid the Colts. I don't think there's a result that would surprise me between these two teams, so I'm staying away. Some might see the Colts as the favorite and want to use them as a contrarian play; I wouldn't be one of them.